Salina van Es, started her career in the beauty industry as a beautician. Soon after, she became interested in the massive impact that beautiful lashes have on a woman’s appearance. She completed her first eyelash extension training with Lash eXtend in 2012. Now, five years and various internal and external training programmes later, Salina has become a Lash eXtend Master trainer. 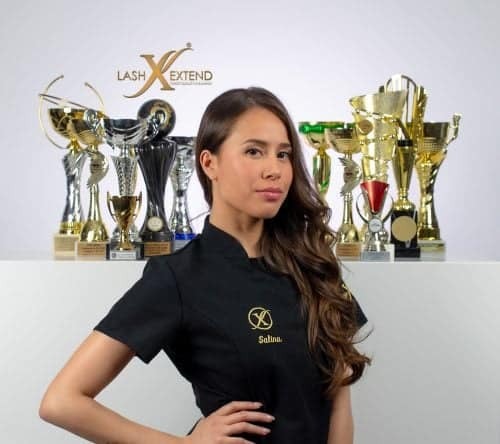 Salina is one of Lash eXtend’s main trainers, a well-know and respected figure within the company. She has won over 20 international competitions worldwide. As a multiple award-winning trainer, she is becoming judge for international competitions. Salina is a true expert when it comes to perfect lashes and has greatly contributed to Lash eXtend’s international growth.